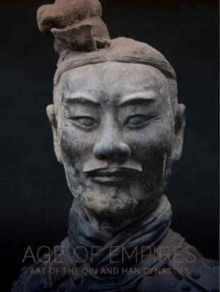 The first in-depth exploration of the artistic and cultural achievements of China's "classical" era Age of Empires presents the art and culture of China during one of the most critical periods of its history - the four centuries from 221 B.C. to A.D. 200-- when, for the first time, people of diverse backgrounds were brought together under centralized imperial rule that fostered a new and unified identity. The Qin and Han empires represent the "classical" era of Chinese civilization, coinciding in both importance and timing with the Greco-Roman period in the West. Under the short-lived Qin and centuries-long Han, warring principalities were united under a common emperor, creating not only political and intellectual institutions but also the foundation for a Chinese art, culture, and national identity that lasted over two millennia. Over 150 works from across the full breadth of Chinese artistic and decorative media-- including ceramics, metalwork, textiles, armor, sculpture, and jewelry - are featured in this book and attest to the unprecedented role of art in ancient Chinese culture. These stunning objects, among them soldiers from the renowned terracotta army of Qin Shihuang, China's first emperor, are drawn from institutions and collections in China and appear here together for the first time. Essays by leading scholars, accompanied by dazzling new photography of the objects, address the sweeping societal changes underway, and trace a progression from the early, formative years through unprecedented sophistication and technical accomplishment-embodied in an artistic legacy that reverberates in China's national identity to this day.